It is not only logical, but has also been proven by a number of researches on this topic, that your hallway is a part of your home that receives the most traffic on a daily as well as annual basis. This proves two things that are significant for you personally. The first is the fact that most people visiting your home, if not all of them, are bound to pass through your hallway, while second is the fact that the floor of your hallway receives the most trampling damage, when compared to the rest of your home. There are several ways to use this knowledge to your benefit, but definitely the most effective one is to get a proper runner rug for your hallway. Getting a proper runner rug is bound to both protect your hallway floor from getting damage, thus preserving it and making its maintenance significantly easier, as well as improving the first impression anyone will get when they first enter your home. This positive first impression that your home leaves often also transfers to you as well. Truly a win-win scenario. Still there is a question of how to choose a perfect rug for your hallway, and there are several things to look out for. It is not that easy to pick a perfect rug for your hallway. There are a lot of things that you need to take special care about and first of it is to know how to find the proper size of the rug. In order to pick the right rug, you need to be realistic about the space you have in your hallway, as well as to be aware of the space that you want your rug to take. After you have this done, you are on the right way to select a perfect runner rug. From an aesthetic point of view what matters the most is that you manage to coordinate your runner rug with the rest of you interior. Try to coordinate the colours, the texture and general stylistic impression that your rug leaves with that of the rest of your home and you are bound to make a hit. Because of its size, it is likely that any rug you chose will dominate in look of your hallway, so make sure to always have this in mind. After all, the hallway is the first thing anyone will see when entering your home. Picking the right material for your rug is about more than just its texture, it is about functionality and durability of your rug, as well. 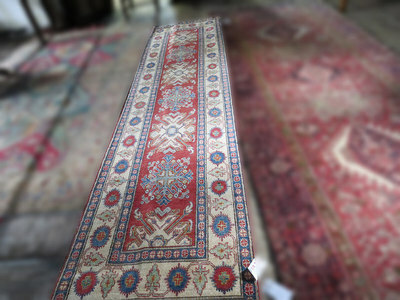 According to Australia’s renowned suppliers of runner rugs, rug material should be chosen in agreement with its purpose. It all depends on if you need an outside or an inside rug, as well as on many other variables. If you want to go with an outside rug, it is probably best for you to pick a durable material while for an inside rug you should probably go with something more delicate as a hand-knotted Persian rug, or even a wool shag rug. Always keep this in mind when buying a runner rug. Also, it would be wise to use rug pads, in order to keep your rug in place, as well as to provide it with that extra bit of protection that your rug so desperately needs. 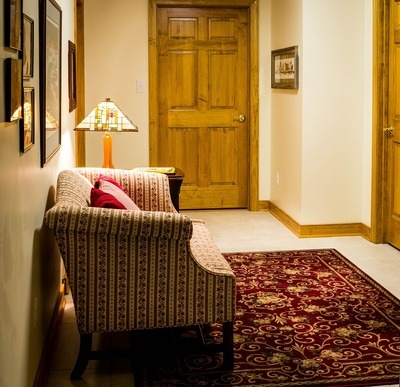 While it may seem as not that big of a deal, choosing the right runner rug may yet prove to be crucial for the general impression that your hallway creates. It may as well create a completely new look for your hallway and transform it into something you always wanted it to be. Choose your rug carefully, and the effect that it will have on your home will most probably prove to be worth all the effort.